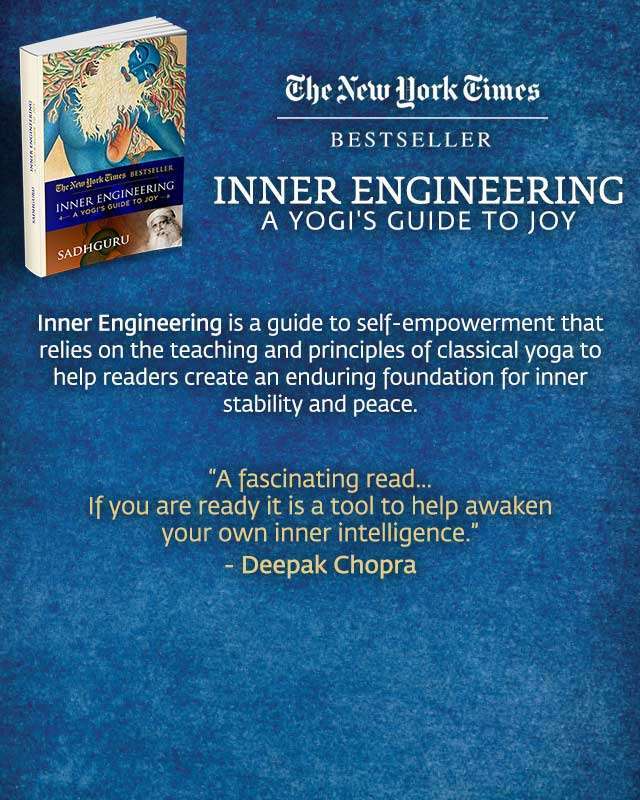 Sadhguru’s latest book, Inner Engineering: A Yogi’s Guide to Joy,will be released on December 12, 2016. In this transformative book, Sadhguru draws from his own experience of life and introduces the revolutionary technology of Inner Engineering. Developed by him over several years, this powerful practice serves to align the mind and the body with energies around and within, creating a world of limitless power and possibilities.